Tentree is a company that seeks to help the environment, one article of clothing at a time. With every piece of merchandise they sell, they plant 10 trees in the ground in countries throughout the world. In about eight years, the trees are fully-grown, not only combatting deforestation, but providing countless benefits to the planet. The company sells a wide variety of clothing for both men and women—ranging from T-shirts, tank tops, sweatshirts, sweatpants, and accessories like hats, beanies and backpacks. All of the clothing is made with eco-friendly material, such as coconut buttons, cork trims, hemp, organic cotton, recycled polyester, and tencel. As mentioned on their website, Tentree “only work with socially and environmentally responsible factories that are WRAP approved”. The factories that they work closely with “commit to fair hours of work, absolutely no child labor, fair compensation based on local laws, a safe and healthy workplace, and adherence to environmentally conscious practices”. Their company is taking a stand to help the earth all while functioning ethically and keeping their environmental footprint as small as they can. At the top of their website is a tally of all the trees that have been planted so far—the number currently being a little over 15 million—woah. The main goal of the company is to plant a billion trees by the year 2030—and we at Valley have no doubt that they will reach this goal. 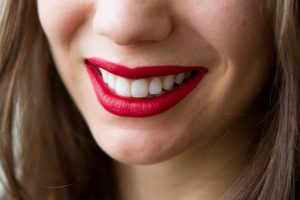 Originally popularized by actresses like Marilyn Monroe and Elizabeth Taylor, the red lip has earned its title as a classic makeup look.